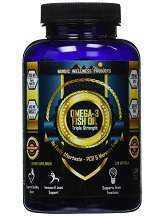 Triple Strength Omega-3 Fish Oil offered by Nordic Wellness is made using scientifically proven ingredients. This product contains highly potent ingredients that are proven to support cardiovascular health, lower LDL (bad cholesterol) and triglyceride levels and increase HDL (good cholesterol). It is also very effective in regulating normal blood pressure levels, improving circulation and brain function, bolstering the immune system and reducing inflammation. This product comes with premium quality, purity and potency through the use of high quality fish oil. This product is made in an FDA inspected and registered factory in the USA. For more information on this product, continue reading the full review. The manufacturer recommends considering this a dietary supplement. It is advised to take just one soft-gel a day. 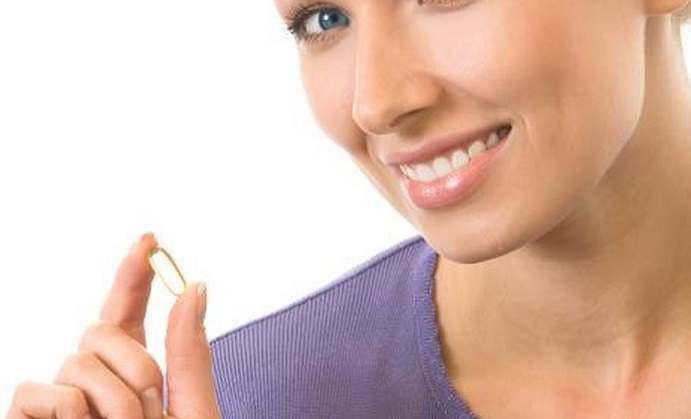 For a higher dosage, you should take two soft-gels a day (which gives you three to five times more EPA and DHA as other products on the market do. On Amazon, the cost of one bottle of Triple Strength Omega 3 Fish Oil containing 120 pills is $27.97, which is cheaper than the listed price of $59.95. This helps you save around $31.98 (53%). Amazon offers free shipping only for orders over $35. The manufacturer advises not to exceed the recommended dose. Pregnant or nursing mothers, children under 18, and individuals with a known medical condition should consult a physician before using this or any dietary supplement. This product is manufactured and packaged in a facility which may also process milk, soy, wheat, egg, peanuts, tree nuts, fish, and crustacean shellfish and it may cause allergic reactions in some people. The manufacturer encourages potential buyers to try this product risk-free with the 100% money back guarantee offer. This product has also received good feedback from several customers. Specifically, customers praised the potency of the product and how easily it worked for them. Triple Strength Omega 3 Fish Oil contains Omega-3 Essential Fatty Acids that helps improve the functioning of the immune system, decrease the risk of breast cancer and reduce inflammation, pain and anxiety. The fish oil used in this product is processed using one of the best purification methods available. Molecular distillation and enteric coating make sure that there is no smelly fish taste and optimal absorption. This product has a lot of positive reviews. However, it can cause allergic reactions for some people as it contains fish and soy. Although a money back guarantee is available for this product, insufficient information regarding the policy’s terms and conditions on the manufacturer’s website and Amazon, may be a concern to risk-averse buyers.